Today’s Activision Blizzard earnings call was highly anticipated by watchers of the market-leading MMO World of Warcraft, which has earned a reputation as untouchable after hundreds of other MMOs have failed to take its throne over the past 8 years. For over a year, the game has been losing subscribers in large quantities. In Q1 2011, 600,000 subscribers abandoned ship. In Q2 2011, 300,000 subscribers left. Then back up to 800,000 in Q3 2011, down to 100,000 in Q4 and finally a flat 0 subscribers lost or gained in Q1 2012. Though the size of these exoduses has varied wildly, the trend had been negative up until the start of this year when they suddenly stopped — despite a lack of new content — so we were all waiting with bated breath to see whether World of Warcraft could return to positive growth this quarter. It did not. World of Warcraft suffered a massive blow with 1,100,000 subscribers lost. That’s over half the 1,800,000 lost in the 15 months since Q1 2011. This brings the game down to 9.1 million players from 10.2 million, a 10.78% attrition in just three months. Worse, at the end of 2010 the game had 12 million players, making it a 24.1% loss over the past 18 months. Activision Blizzard said that the loss was strongest in the East and among 3- and 12-month subscribers, inferring that its old staple of Western teenagers subscribing one month at a time wasn’t hard hit. But Blizzard didn’t support that inference and anecdotal evidence would suggest that Western attrition is not a huge way off Eastern attrition. 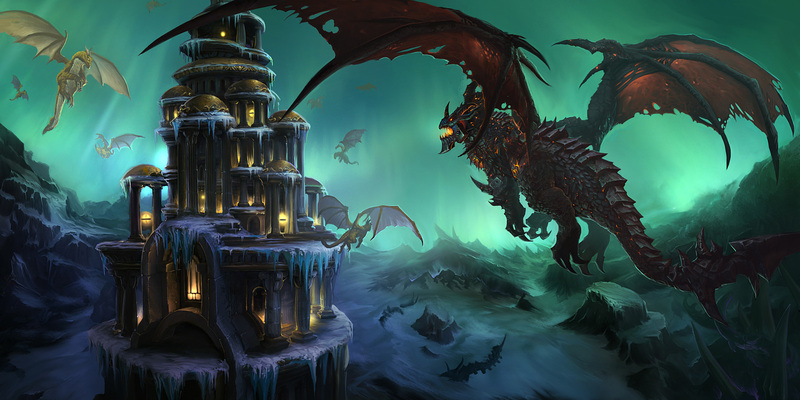 Blizzard justified the losses by pointing out that World of Warcraft has not had a significant content update since the ultimate encounter of the Cataclysm expansion was released in a patch in November 2011. It pointed out that many players were focusing on Diablo 3 instead, released earlier in Q2, as another reason for the losses. But while 1.1 million lost subscribers is the game’s biggest dip so far, it’s far from being a sudden valley; it’s part of an 18-month trend. The losses of Q1 2011 took place immediately after the December 2010 release of Cataclysm at a time when players should have had a huge bounty of untapped content available to them. In short, there is much more at play here than a lack of timely content updates. Each expansion generally features several ‘tiers’ of raiding encounters, released roughly every 3 months. Deathwing was the storyline endpoint encounter for Cataclysm, a high point in the release cycle, and yet Blizzard still lost 100,000 subscribers in that quarter when one might expect many of the 1.7 million subscribers who had left earlier in the year to come back for a go. Mists of Pandaria, World of Warcraft’s fourth expansion with a release date slated for September, may see subscription figures head upwards once again — but whether the game can buck the trend is another question. Despite intermittent new content updates, its age is widely felt and new mini-games such as the Pokémon-like Pet Battles won’t be enough. Whether Blizzard’s codenamed Titan MMO, currently in development for a rumored 2014 release, is the solution to this problem of age is another question altogether — but it would mark uncertainty for the Warcraft IP. Another reality is that subscriber figures from Q4 2011 onwards have a buffer built in and may not accurately represent the serious of the problem. In late 2012, Blizzard offered subscribers an Annual Pass promotion which locked them into the game for 12 months in exchange for a free copy of Diablo 3, access to the Mists of Pandaria beta and other in-game goodies. The promotion has ensured that 1.2 million subscribers could be guaranteed for the period, even if they were playing their free copy of Diablo 3 instead, a ploy that hints to Blizzard’s awareness that it would not be able to deliver extra World of Warcraft content in a timeframe considered reasonable by subscribers. Star Wars: The Old Republic announced a free-to-play option earlier in the week, joining many other sustainably profitable free-to-play games such as Lord of the Rings Online and Star Trek Online. Between an ageing game that isn’t adequately brought into the present era by new content and better graphics, a lack of innovation in MMOs in general and the slow decline of the subscription model, it seems like we may not be at the beginning of the end for World of Warcraft in its current state. We may, in fact, be 18 months in.